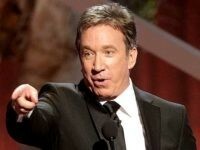 Tim Allen, the star of the hit Fox show Last Man Standing, said in a recent interview he enjoys making fun of progressives’ insecurities and insisted there is nothing that pisses people off more than a funny conservative. Tim Allen’s re-booted sitcom, ‘Last Man Standing,’ once again reigned as the top Friday sitcom for its second episode of the season on Fox. 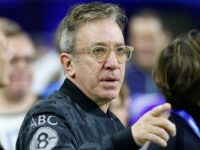 Actor Tim Allen said in an interview published this week that President Donald Trump is accomplishing things for America, despite the “drama” and the “theater” around his administration. Last Man Standing is coming back to television thanks to a social media campaign by loyal fans, and the stars of the series showed their gratitude in a new video. Tim Allen says political correctness puts comedians in a perilous position, citing ABC’s recent firing of sitcom star Roseanne Barr. 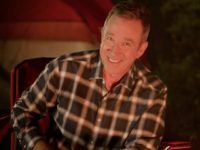 Fox Broadcasting Co. released a trailer for the revival of Tim Allen’s family sitcom Last Man Standing mocking the show’s controversial cancellation by ABC Entertainment. TV’s favorite dad Tim Allen took to Twitter this week to announce to his fans the premiere date for Fox’s revival of the hit blue-collar comedy Last Man Standing. 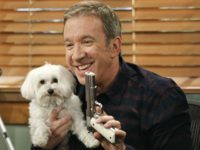 One of the reasons Tim Allen looks forward to the next season of his popular sitcom Last Man Standing is the opportunity it will afford him to wade into the ever-brewing debate over guns in America. The Tim Allen-starring blue-collar comedy Last Man Standing will be brought back to TV as Fox has picked up the popular series after ABC abruptly canceled it last spring. The Tim Allen-fronted blue-collar comedy Last Man Standing may make Fox Broadcasting Co. its new network home after ABC abruptly canceled the successful series last year. 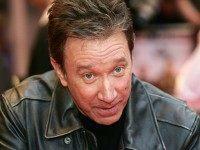 Actor Tim Allen doubled down on his condemnation of ABC’s decision to abruptly cancel the highly-rated sitcom ‘Last Man Standing,’ saying his ‘funny, likable conservative’ character may have led to the show’s demise. ABC Entertainment President Channing Dungey again fended off allegations of political bias at the network on Sunday as she insisted that politics had “absolutely nothing to do” with the cancellation of the highly-rated Tim Allen sitcom ‘Last Man Standing’ this year. CMT will not revive cancelled Tim Allen sitcom Last Man Standing after preliminary discussions between the cable network and the studio behind the show, 20th Century Fox Television, fell through this week, according to a report. Cable network CMT is reportedly exploring a revival of Tim Allen-starring sitcom Last Man Standing one month after the highly-rated show was cancelled by ABC. Fans of cancelled ABC sitcom Last Man Standing have been provided a small glimmer of hope as studio 20th Century Fox Television is reportedly looking to find a new home for the Tim Allen-starring series. More than a quarter-million people have put their names to a petition demanding ABC bring back the highly-rated conservative sitcom Last Man Standing. 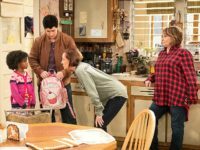 ABC Entertainment President Channing Dungey held a press call Tuesday morning to discuss the network’s Fall 2017-18 lineup, which, for the first time in six years, does not include its second-highest rated comedy. While some reporters asked about Last Man’s cancellation, the press call raised more questioned than it answered. Tim Allen is speaking out about ABC’s cancellation of his family sitcom Last Man Standing. A fan’s petition to ABC Television to revive the now-canceled blue-collar sitcom Last Man Standing has received more than 100,000 signatures in less than a week. 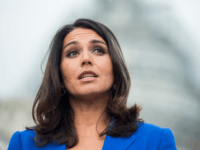 The show was one of the few (if not the only) sitcoms on broadcast television to appeal to conservative, family-oriented audiences. 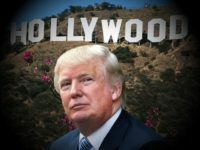 Industry veteran Stephen Galloway writes at the Hollywood Reporter that a “new McCarthyism” has taken over Hollywood, with conservatives now targeted and blacklisted for their political beliefs, instead of the Communists of the late 1940s and early 1950s. 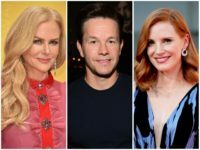 Actor and comedian Tim Allen says the elite liberal celebrities in Hollywood who accuse President-elect Donald Trump of being a bully are themselves the bigger bullies.